USA/Spain, 1982. Director: Juan Piquer Simon. Starring Christopher George, Edmund Purdom, Lynda Day George, Paul Smith, Ian Sera. 85 Mins. Grindhouse Releasing is proud to present the first official U.S. release of the sickest and most violent of all the early ’80s slasher movies. 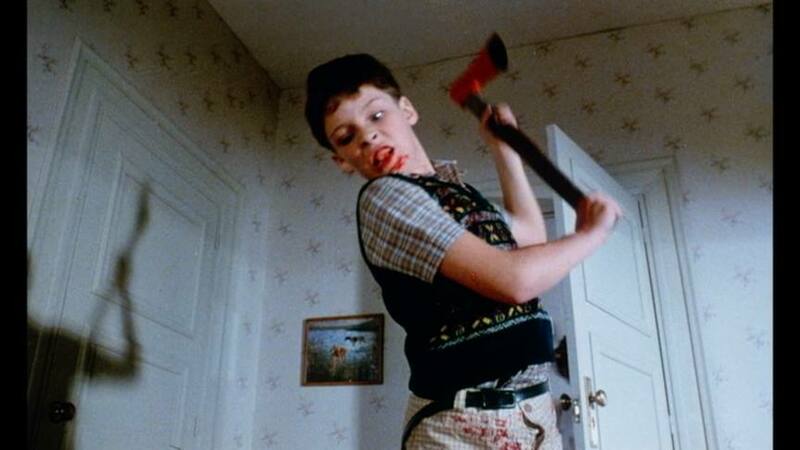 A psychopathic killer stalks a Boston campus, brutally slaughtering nubile young college co-eds, collecting body parts from each victim to create the likeness of his mother who he savagely murdered with an axe when he was ten years old! PIECES is a wild, unrated gorefest, with enough splatter and sleaze to shock the most jaded horror fan. Coming soon to Blu-ray from Grindhouse Releasing. This film is absolute classic of the slasher genre. If it didn’t spurn a sequel in the 80’s people tend to forget but a good slasher film is a good slasher film. And that ending! You never forget it once you’ve seen it. It beats F13th, NoES, Halloween, etc., No… that’s how you do that last scare and no one sees it coming or can follow it up. A must for horror fans who have never seen it. Will we see this on blu ray soon?